Deadpool trolled Hugh Jackman pretty hard with a savage #10YearChallenge meme. Ryan Reynolds brought the Merc with a Mouth to the big screen for the first time in X-Men Origins: Wolverine, which wasn't exactly the same character who everybody knows and loves today. 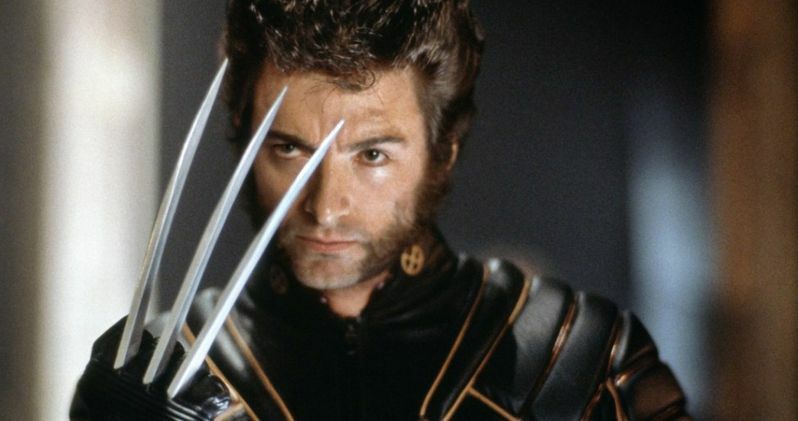 Hugh Jackman has revealed that he is finished playing the iconic Marvel Comics character, but that hasn't stopped fans and Reynolds from trying to get him to come back for a team-up between the two characters. The official Twitter account for Deadpool posted a picture of Hugh Jackman as Wolverine from X-Men Origins: Wolverine looking badass with his claws out and walking away from a giant explosion for the #10YearChallenge. The second photo to represent current time is a picture of the character's grave with a caption that reads: "Hey Hugh Jackman, took care of your Ten Year Challenge for you." The tweet currently has over 64,000 likes and it has been retweeted nearly 15,000 times since being posted a few days ago. Hugh Jackman's Wolverine wasn't the only one to get burned by Deadpool for the #TenYearChallenge. Stefan Kapicic's Colossus was also put in the crosshairs with a picture of the character from Deadpool 2 and then an image of a trashcan. This resulted in quite a few fans taking to the internet to roast Ryan Reynolds with many choosing to go the Green Lantern route and pairing it with a fresh picture of Wade Wilson all burned up. The Deadpool fan base clearly enjoys all of the troll attempts that the Merc with a Mouth can muster and enjoys dishing them right back. As for Wolverine and Deadpool teaming up on the big screen, the Merc with a Mouth creator Rob Liefeld believes that it will happen in the Marvel Cinematic Universe. Liefeld was quick to note that it might not be with Ryan Reynolds and Hugh Jackman, but states that it is "inevitable." This has caused fans to get pretty excited, but it is unclear if this will actually happen. However, if anyone can pull off a massive feat like that with Jackman and Reynolds, it's Marvel Studios boss Kevin Feige. For now, we'll just have to wait and see. Speaking of the MCU, Marvel Studios released a #10YearChallenge for the original crew of the Avengers. Their version was a lot more wholesome and didn't include any trolling like Deadpool did with his take on the viral challenge, but that was to be expected. Even something as trivial as a viral challenge makes one wonder how the Merc with a Mouth will be able to hang under the Disney umbrella. Wade Wilson is a foul-mouthed wiseass who enjoys hanging out under an R-rating. With the Disney and Fox deal set to finalize in the near future, we should all find out soon. You can check out Hugh Jackman's #10YearChallenge below, thanks to the Deadpool Movie Twitter account.